I lost a cousin recently. He died of a drug overdose. I don’t think he meant for death to happen but it did and now his mother (my dear aunt) is grieving over the loss of yet another son. Though many people are grieving, it’s particularly sad that his only child must now go through life without the benefit of his loving dad (for my cousin did indeed love his son!). As the family grieves, we are reminded of other losses we’ve suffered and we comfort each other with such words as “he’s with his brother now” and “his grandparents were surely there to greet him” and “what a loving guardian angel he will be”. All are true, I am sure, but it isn’t what we wanted. What we WANTED is him back in the body and walking among us. Until we learn to live with this major, devastating change, nothing will give comfort. As for me, I’m trying to put it all into my own perspective, to remind myself that physical death, while a sad change for us, is really just a release of the soul from the body. It is NOT THE END. It’s a CHANGE. The essence of who we are in life remains with us in “death” and our return to spirit (for it is there from which we came) reunites us with loved ones already “there”. I put parenthesis around “there” because the afterlife isn’t a “place” so much as a state of awareness. So I attended my cousin’s “celebration of life” and I swear to you that I could clearly “see” them (my family members in spirit) and I knew they truly were rejoicing in his being among them (on the same level of awareness) once again. They were all smiling and happy and dancing to the music (it WAS a celebration of life after all) and the joy in their souls was genuine. Their regret, if they had any (for seriously, I don’t think there’s much in the way of “regret” over “there”), is our unawareness of their actual presence. Oh we were saying things like “He’s here with us, I feel him” but did we all truly understand how TRUE those sort of statements were? Though I cried and felt incredibly sad, it was for the grief going on around me and for the things I missed while he lived among us. His little brother shared stories that made us laugh and cry. He helped us become a bigger part of his big brother’s life and he gave us new memories to share in. Thanks for that, Ed, you were amazing! I want to tell you something … our loved ones don’t “go away” and leave us with this big, gaping hole in our heart (that’s what it feels like, doesn’t it? Like a piece of our heart was ripped right out of our chest?). What they’ve done, what’s REALLY happened, is they have entered spirit, and through the bond of emotional attachment they bind themselves into that hole. So yeah, that hole you think is empty, it’s really filled with your loved one’s spiritual essence and you carry them wherever you go. True story. Our hearts, like the proverbial cups filled with love, truly does “runneth over”! Our emotions are like beckoning beacons of light in the spirit world and when we are focused on a loved one there, they are instantly with us. Our FOCUS, you see, is energy in motion (true here in the physical world as it is in the spiritual one!) and it alerts them that we are in need of their comforting presence. Thoughts of loved ones are a direct “call” to them and they answer our summons EVERY TIME. Here’s an analogy you might like: Their presence in our heart is like a cell phone with a direct link (and the signal is always four bars!) and no matter where we are or how many others are making the same call, they answer it with their loving, spiritual presence! Now, I get asked about that last part from time to time. How can someone in spirit be with so many people at the same time, especially when some may be spread out all over the world? That’s an easy one. A simple answer. There is no such thing as “time” and “distance” (space) in the spirit world. There is only “here” and “now” and as such, my Nana (for instance) can be here with me in Maine and my cousin in Florida at the exact same time. Our emotional connection is never severed. Ever. Love is the glue that binds. No truer statement can be said! So when I’m thinking of her, no matter how many others may be thinking of her too, my “call” to her is instant and wham, here she is! In spirit, anything is possible! Anything. Something I wish more people understood and believed is that those in the spirit world can cause effects in the physical world that are meant to let a loved one know they are around. For instance, a song that reminds you of a loved one in spirit can suddenly come on the radio, or you might see a flower they loved, or smell an aroma of something you associate with them. It could be something as abstract as a heart in a cloud or as simple as a butterfly fluttering about you (they are often used as a way for those in spirit to be physically close to you!). Although my grandparents crossed into spirit over 30 years ago, I miss them to this day and when I am thinking about them, I might see their name on a sign or a license plate, or a song will come on that I associate with them (Nana loved to sing and Grampy loved to dance!) or I’ll just get a very strong feeling (emotional connection!) that they are near. When those moments happen, I feel their spiritual hug. It doesn’t make me stop missing them, but I do enjoy those little reminders that they haven’t “gone” anywhere. But even so, despite all that and KNOWING my loved ones (in spirit) are fine, I grieve when they cross over. Life isn’t the same when we lose the physical presence of someone we love and whose company we enjoyed. It isn’t the same. It’s different in so many ways and it’s a tough thing to adjust to. It was hard losing Grampy and I grieved deeply but we still had Nana and that helped. Then she crossed over three months later. I thought I would never stop crying. I couldn’t imagine ever being happy again. I did not want to live my life without them in it. Oh I knew I’d lose them someday (and I stressed over that a LOT as a child!) but I always prayed they’d live a long, long time. When I say that, I’m telling you that I literally prayed for this almost every night during prayers and if I forgot to pray for it the night before, I corrected it immediately the next day! Their dying when I was just 21 was a major shock to me. I felt betrayed. I mean, I PRAYED…every fricken night I prayed…and they left me at the young age of 21. Nana was still in her 60s and Grampy had just turned 72. That isn’t old. Not by today’s standards. So what the heck? WHY did they die so darn young? So you see I am still not totally over it. I can still get worked up over my “loss” and yet they visit me all the time! I mean, they are right HERE in my heart and I have that direct link to their souls. I SEE them in my dreams and I get messages and feelings from them quite often and STILL I am upset that they aren’t here physically! We never stop grieving. Never. The tears may stop but the grief lives permanently within us and somehow we just go on living with it. As we should because there are other joys to celebrate in life and their “death” doesn’t diminish those other joys. I have three children, four step-kids and sixteen grandchildren to share my life with, not to mention the spouses of my kids, an amazing husband, my brothers and sisters and aunts and uncles and cousins and friends and so on and so on!! I am VERY blessed. But I STILL miss my grandparents and I still cry over the physical loss of my nephew, my sister’s oldest son, who died from suicide. I cry for her and I cry for the things I didn’t do or say and for the emotional pain he was in before he decided he’d had enough and returned to spirit. My cousin’s death brought my nephew’s right back into focus and then, of course, it brought my grandparents into focus as well. Our emotional connection with those we care for is NEVER severed and so we are just always and forever going to feel grief when we think of them. The longing for their physical presence will never stop. It just won’t. We live in a physical world and as such, physical presence means everything to us. Given that, I am trying to make their spiritual presence just as important and meaningful. Which is why I felt them (my other family members in spirit) and “saw” them clearly in my mind’s eye during my cousin’s celebration of life. I did feel comfort and I shared smiles and winks and special moments with them. But I still wish they were here in the physical world. And that, folks, is how it is always going to be … until it’s our turn to cross into spirit and rejoin them “over there”. Until next time, onward to better things, upward to greatness and ever forward to a bright, loving future! Although we all shall one day cross into the “great beyond”, it is one of the hardest things for us to deal with in life. Despite knowing the soul lives on, the pain of physical loss is difficult to bear. It is especially hard when they are young. People are supposed to live to be ripe old senior citizens. They are supposed to have a long, well-lived life and die peacefully in their sleep. In a perfect world, that’s how it would be. But we don’t live in a perfect world do we? My recent, devastating loss was a nephew. He was 27 and it seemed to all who knew him that he had much to live for. He was healthy, he was doing all the things he loved to do…fish, hunt, work outdoors. He was a hard worker but he took time to play. He was a good person and loved by all who knew him. He wasn’t perfect, but then who is? There’s not a living soul on this earth who is perfect. When we reach perfection, we don’t come “here”. But I digress. Not only was my nephew loved by his family, his friends and his associates but he left a great impression on all those he came into contact with, no matter how brief that contact might be. But (and why does there always have to be a “but”?) behind all those smiles and that big heart was a troubled young man. We knew, of course, that he wanted a family, a home of his own and all that went with it, but he had time to get those things. Or so we thought. We knew his financial responsibilities were great but that’s because he was trying so very hard to be successful. He was one of the hardest working people I have ever known. I tell myself all the things that should give me comfort…he is not truly GONE, he is TRANSFORMED, his BODY is dead, HE is not, we are sad and filled with grief, HE is finally happy and at peace. We MISS him and yet he is WITH us. But it still hurts. Sad as I am, guilty as I feel for not showing him more love the last few times I saw him, it is the sadness of my family that digs at my heart. Parents and grandparents should not outlive their children. In the perfect order of things…that’s not how it should work out. But again and I have to repeat it…we do not live in a perfect world. The question of “Why?” is constantly asked. The desire to understand a nagging, unfulfilled need. Yet I know…I KNOW, that if he was to suddenly appear and give us the answers…we would NOT find satisfaction and peace from it. There’s no good reason, not a single one, for losing someone you love in the manner that we lost my nephew. But (there it is again), for HIM it was enough. He chose to do what he did that terrible, lonely night. WE did not. The one thing he did do that I am most grateful for, is tell us in his final message that although he was not happy with certain aspects of his life, he was not disappointed or upset with his family and friends. Even so, we are sad that we were not enough. We are not to blame for this and yet we feel guilty anyway. Truth is, this terrible tragedy has no one to blame but the demons of negative thinking and the untreated affects of depression. THINK about this for a moment. Our thoughts CAN be our worst enemy if we allow their abuse to beat us down. BUT (finally a good reason for one of those buggers!) they can also be our BEST champion, our most supportive cheerleader and a tireless, amazing motivator. My nephew’s thoughts took him down and led him into spirit. And now it is OUR thoughts that must lift us up and help us come to terms with it. There are a few good things to come out of this terrible tragedy, aside from the major one of having our family come together. One, I am making more of a conscious effort to ensure I remember to tell all those I love that I love them. We forget sometimes when we’re caught up in life and I don’t want to forget that anymore. Second, I am motivated to be more aware of what is going on with those I love. Not in a snoopy, “I want to be all up in your business” sort of aware, but in a genuine “I really care about what is happening with you” sort of way. Third, I want to do better about keeping my spiritual connections a priority in my life. My beliefs have developed through the experiences of my soul and I don’t want all that experience going to waste! Beliefs aside, grief is going to be part of our lives from time to time. Our capacity to love will make it impossible to avoid. We all must go through it in our own way and at our own pace. With love and support, from your self and from others, you’ll get there. We are, after all, spiritual beings living in a physical world and our spiritual connections will help heal the wounded heart. Once the physical loss isn’t so overwhelming, the shock of it no longer holding us frozen in disbelief, we’ll figure out a way to let go of what can no longer be. We’ll adjust. We’ll go on until we are reunited. Just remember, though, that when you reunite with loved ones “over there” you have grieving loved ones dealing with their loss of you “over here”. It’s a pretty sad cycle isn’t it? Or a joyous one…depending on how you look at it. In the days since my nephew has passed, there have been signs that he’s still among us. His best friend went to the spot where they last fished together and it had been raining all morning. After having a “talk” with his departed friend, he said “If you can hear me, make it stop raining.” Yes indeed…that rain stopped long enough for it to matter. Long enough to help a grieving friend heal just a little bit. In another instance, a song came on suddenly that was one of his favorites. A song he sang along with the last time they listened to it. And one of my favorite signs was when he gave someone the urge to stop and buy flowers for his brokenhearted grandmother. The florist, it turned out, knew my nephew well and was sad to learn of his passing. She put together the same bouquet she always made when he stopped to buy his grandmother flowers. One of the things those “over there” often express when in communication with someone “over here” is the frustration they feel on getting messages through to us. They give signs in all the ways they can think of and sometimes we notice, sometimes we don’t and often we explain it away. We label it a COINCIDENCE. Well let me tell you something about coincidences…they are SPIRIT IN ACTION. God’s doing, all. When we cross into spirit…we BECOME spirit and since it is spirit (God) that makes all things…we become part of ALL that IS. To those of us “here” that means our transformed loved ones can use the sun, the wind, the water, the animals, the flowers…everything and anything to show us their love! They can stop the rain or play a song on the radio, they can urge you to buy flowers or make a heart out of clouds. They can dance around in butterfly wings or use a dog’s nose to nuzzle you. When something happens that makes you think of someone you love who is “over there”…that’s your SIGN they are with you HERE! I have to share that my grandparents often use billboard signs and license plates to show me they are near. Whenever I am thinking of them quite strongly, I’ll suddenly see their names on license plates or other signage. It fills me with joy for I know it’s them letting me know they are with me still. I KNOW it and I feel loved, connected, when it happens. I’m sad that my nephew thought his best move was to pass into spirit but now it’s done and we can’t change it. Much as we’d like to. Much as we beat ourselves up in all the ways we could have stopped him…if only we’d known. The thing is…if my nephew had wanted to be stopped from crossing over, then he would have been stopped. What happened, happened because he willed it. And it is that right there that’s troubling us so very much…our feelings of guilt that we weren’t enough reason to live, that we didn’t do enough to help him realize that. It makes no sense why we take the actions of others and make them our responsibility but we do it quite often. Why is that? Unless you murder someone with your own hands, you are NOT responsible for the death of another. No matter what their reasons are. Our actions, reactions and responses are our own. WE are the sole proprietor of our body, our emotions and our thoughts. My nephew was in charge of his life that night he decided to end it. I pray that this has shown all who have been touched by this event to seek help if depression and bad thoughts plague them. If they do not and take drastic measures, the mental and emotional pain will transfer to every single person they love. It is not, I am sure, what my nephew intended to have happen. I pray that those who are finding it hardest to deal with this tragedy find peace soon. I pray we all move on with our lives and get our joy back. As for my nephew, well he’ll be with us from here on out, sharing our joy and comforting us in times of sorrow. It’s what we do with those we love…whether we reside in the physical world or the spiritual realm. I pray that peace be with you. For all who are suffering grief in some way…I pray you find comfort in knowing that now they are in spirit, they are CLOSER than ever. Even so, you will miss them. That you must live with. And LIVE you must do because if you are still here, there’s a darn good reason for it! Say your goodbye, grieve, then move on. Focus on love. Peace will come and so will joy. Many people write in to ask me about making contact with loved ones who have crossed into spirit and though I’ve written other posts about it, I thought I’d write another in the hopes that this one might offer what the others perhaps did not. But before I get into that, many of you might wonder how it is that I am an authority on the subject. Well here’s the best answer I can give: I’m not. BUT, I do make contact with the spirit world and I have wonderful experiences when doing so! It is those experiences that I share. Well, that and what spirit moves me to write! (the creation of anything…such as this blog post…is an interaction with spirit!). I am not a medium in the same way that the late Sylvia Brown was a medium, nor am I anything near as talented as the Long Island Medium, Theresa Caputo. Fact is, MOST people who connect with spirit are not mediums by trade. BUT, everyone has the ability to interact with the spirit world in some way. Problem is, there are many, many people who don’t believe it, are afraid to do it or would rather someone else do the contacting while they simply enjoy the communication as a third party. I know I say the following a lot but it can’t be said enough…we are spiritual beings living in a physical body and given that…we are directly connected to spirit…all the time, every second of every day (making the “we are one” thing a very true statement!). When we move our consciousness from spirit to the physical world (by entering a physical body), our Ego will eventually take over our life somewhat by filtering our experiences. The Ego’s job is to keep us grounded in the physical world (otherwise, I don’t think we’d want to be here, not at all). But (there’s always a “but” isn’t there? ), babies and young children haven’t yet developed their Egos so they have the unique experience of being more aware of the spirit world than those of us who are under our Ego’s influence. Some of you may have noticed babies looking at apparently nothing and yet appear to be very fixated on something (animals do that too!). We adults can’t see what they see because the Ego has filtered it out. The babies, however, don’t have the Ego to contend with so they can see beyond the physical realm. Since we are speaking of this, I have to tell you about a recurring experience I had when I owned a small family campground. Over the course of time we came to the conclusion that angels hung out in the office area where people came to register for campsites. We arrived at this conclusion because it was quite often that we witnessed babies actively watching something with their eyes, their faces animated with pleasure as they babbled and smiled. They were always looking up toward the ceiling and there was never anything there that we could see. And yet, there had to be SOMETHING holding their delighted attention. The parents of these babies were struck with wonder and even some apprehension for they’d look up, see nothing, then stare at their child in bafflement. I was always quick to point out the fact that whatever they saw, it wasn’t threatening or anything to be concerned about. Since the babies always reacted joyfully, it can only mean positive spirit energy was affecting them and there can’t be anything wrong with that! Another strange thing that many people experience is having their children remember a past life. My own son, in fact, used to talk about his “former” life as a man all the time. As a two and three year old, he shouldn’t have known any of the stuff he often talked about. He spoke of having a wife, being in an accident, dying, coming back and even shared his adventures as a pilot in the Korean war! These instances with my son helped reinforce the whole issue of reincarnation for me. I was already a believer, anyway, because as an adolescent on through my teenage years, I had dreams of being another person. These dreams were not strange or bizarre in any way, other than the fact it was ME but not me as I am now. Those dreams had an air of realism to them that made it hard to ignore once I was awake. In fact, upon waking, I often had a hard time reacquainting myself with my current life situation! I also had several prophetic dreams and went through many, many spirit interactions. All these experiences helped to form the beliefs I hold to this day. And that’s how it works with us, right? We learn from experience. Despite my convictions on what it is I do and do not believe, it used to worry me what others thought, especially if they didn’t agree with me or believed the exact opposite. Thankfully, I’m secure enough in my own convictions that it doesn’t bother me what people think anymore. It just doesn’t matter. After all, I don’t go around trying to press my beliefs on others and just so long as they aren’t trying to do that to me either, then what does it matter? It doesn’t. The only time it matters what others think is when they use their beliefs to inflict harm on other people. I’m thinking of the radical extremists (of any religion or thought process!) that believe it’s okay to treat others with contempt, condemnation and cold-hearted carelessness. When people think they are better than those who are not of like mind, they have a LOT yet to learn! But that’s another intense topic that I don’t want to get into right now! The fact is, once we make up our minds about a belief and it becomes something that we KNOW, well, there’s no changing what IS. I mean (for instance), now that I KNOW the sky is blue, you can’t come along and convince me that it’s really pink. The only way I’d end up changing my mind on the matter is if I have a personal experience that showed me, first-hand, that the sky is indeed pink! (I’m thinking here about the fact that people used to believe the world was flat. No way would they believe otherwise until it was proven to be round!) So for the most part, our acquisition of knowledge comes from our first-hand experiences and we acquire that from our walk through life. Given that, no matter how detailed the telling of another’s walk, they are not MY experiences. What it all boils down to is the fact that we are all on a spiritual quest…a journey of the soul…and we all are taking that journey at our own pace, traveling this way and that, willy-nilly and yon. My encounters with spirit have led me along the path in life that I now move through and though it’s brought me many setbacks, I’m quite happy to be right where I am! Which is at a point where I know it is possible to talk to those who have passed from physical life and are residing in spirit. The majority of us have encountered SOME SORT of spiritual interaction. Some more bizarre than others I’ll admit for some of the stories people have shared with me have totally baffled my mind! And when that happens, it makes me realize just how much we don’t know about “life” and “being in existence”. Which is why, for me anyway, the quest continues. I have come to understand a few things and one of them is this: Our spiritual energy is REAL and it’s POWERFUL. I know NOTHING can overpower it unless we ALLOW it. We can connect to this spiritual energy through our imagination. In fact, the imagination is the doorway into the spiritual realm! When the mind is FOCUSED and PURPOSEFUL with INTENT, we can easily connect (become aware) of the “real world”. That being, of course, the SPIRITUAL REALM. Just a few days ago I got together with three family members who had recently lost their mother (for two of them) and mother-in-law for the other. The lady who had crossed into spirit was my aunt and when she was physically with us, she LOVED talking to those on the “other side” via table tipping. We decided to try and contact her in the same way so all day long, up until my cousins arrived at my home, I thought about my aunt and sent out an invitation to the spirit world, asking loved ones who wanted to “talk” to us to please come and do so. Although these three women had never table tipped before and were nervous about doing so, that table started in the moment we put our hands on it! My dear aunt was quite, quite ready to operate that table and talk to us! We had a really meaningful experience and my cousins found some peace of mind. It’s very comforting to KNOW that those we love who have crossed into spirit are not GONE and forever lost to us. It’s also a huge relief to be able to ask the questions we needed answered but didn’t ask before they let go of their physical life. So here’s the thing…I am no more special, or different or talented, gifted etc. than anyone else when it comes to spirit contact. What I am is OPEN to allowing it. What I am is ACCEPTING that it’s possible. The fact is, the spiritual realm shares the same space as we do. However, we are operating on different levels of consciousness (called “realms”, “planes” or “vibrations” by some others). Nothing ever severs the connection BUT it is possible to not be AWARE of the connection. Think of it this way…we all know that there are frequencies in the air that carry sound and when we use a device such as a radio or television, we can tune in to those frequencies. We KNOW the frequencies exist even though we can’t see or feel them. They surround us everywhere! The spirit world works on the same premise. So, given that, the table…in table tipping sessions…is one of the devices we can use to “tune in”. The spirit board (Ouija) is another device. As are Tarot cards though they are more for tapping into spiritual energy than spiritual beings. There are many, many ways to contact the “dead” and many devices to help us do so. Scrying is another way (for those who don’t know what that is, it is a method of connecting with spirit using a reflective surface). Trances, seances, runes, gems, dreams, signs and symbols…the list goes on! There are so many ways because as spiritual beings, we can use ANYTHING we feel we need to use in order to connect with spirit. Here’s the truth though…you don’t need anything to connect with loved ones on “the other side”. You just need YOU! Setting the mind (the ever vigil EGO) at rest and allowing the connection to occur is all you need to do. And YES, it’s quite HARD to do that for many of us! It helps to focus without distractions so you need to quiet things down and get relaxed, comfortable, before trying to communicate with spirit. Also, it helps to FOCUS on the person you hope to connect with. Picture the person you hope to communicate with in your mind’s eye and then wait in quiet expectation for the interaction to occur. The spirit world operates through EMOTION. There are no words in spirit and no need for them. Words are for the HUMAN experience. In spirit, you will emotionally connect and you will totally understand the connection though not a single word will pass between you! But, if it’s easier for you to converse with words…then allow the conversation to flow between you. It will strike you as “made up” and “unreal” but SOMETHING is inspiring the words, right? When you FOCUS on speaking to someone in spirit and CONCENTRATE with INTENTION on connecting, then the conversation that follows…when done while in deep, peaceful concentration…is a very REAL conversation! One way to measure it’s TRUTH is in how you FEEL. Spirit interaction should ALWAYS be LOVING and PEACEFUL! If you do not feel those two emotions, then it’s your EGO playing it’s silly, HUMAN TRICKERY on you! The personalities we become in physical life are totally capable of trickery but LOVING, SPIRIT entities are NOT. They will not induce fear or anxiety or depression or anything involving negative energy. They just won’t. Ever. Period. So if you feel any of those things…the EGO is involved or a negative entity has come to stir trouble and you should END the contact. You control this world of yours. Not them…not anyone else either. Just YOU. So if you get a negative entity…you tell it to leave and you stop the contact. The best way to protect yourself from negative energy is by imagining yourself full of light. Just picture your body lit up like a bright, bright light bulb! By focusing on your spiritual light, you supercharge it (though really, it’s ALWAYS super charged but this way you KNOW it and FEEL it!). Negative energy cannot enter positive energy zones. It’s totally impossible. So, when you see negative energy occurring…surround it with light. Fill and surround yourself with light and ask the loving angel entities that are all around you at all times to help you out. They are very good about lending assistance when asked!! In the stories that I write…especially my Tess Schafer-Medium series, I try to share through story telling, how to communicate and deal with the spirit world. The good and the bad. I understand that it’s because of evil that people are afraid of the spirit world and since it is possible that we might have to deal with it, KNOW this much…it CAN be dealt with. We are not powerless against it. This is why I have my characters go up against some real negative spirit energies! I want to show, through my stories, that evil cannot cause harm if we actively resist it and use our spiritual energy to combat it. In all my books, the good is always going to win but that doesn’t mean the bad is gone or defeated. As long as there is energy (and since it can’t be destroyed, I guess that’s means forever!) there is going to be positive and negative polarities going on. Okay, I better stop or I’ll go on forever! Sending out blessings to all and Peace Out! Many of you who follow my blog know that I grew up in a haunted house and because of that became interested in the paranormal. I’ve written blog posts about my experiences in that freaky old farmhouse and plan on releasing a book about it as well…which will really be a conglomeration of all those earlier blog posts. 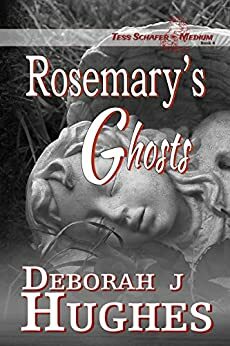 Since starting this blog a little over a year ago, I’ve received lots of comments and email from readers who have had or are having similar experiences and I thought it was time to write another post dealing with the issue of ghosts. For those of you who have not been following my blog since the beginning…let me bring you up too speed real quick about me, my experiences and beliefs concerning ghosts, hauntings, and the like. First, I am not a medium though I have had some experience communicating with “the other side” and I don’t consider myself any more psychic than anyone else (we all possess psychic ability). But I do actively pursue knowledge on spiritual matters and put to practice the things I learn. 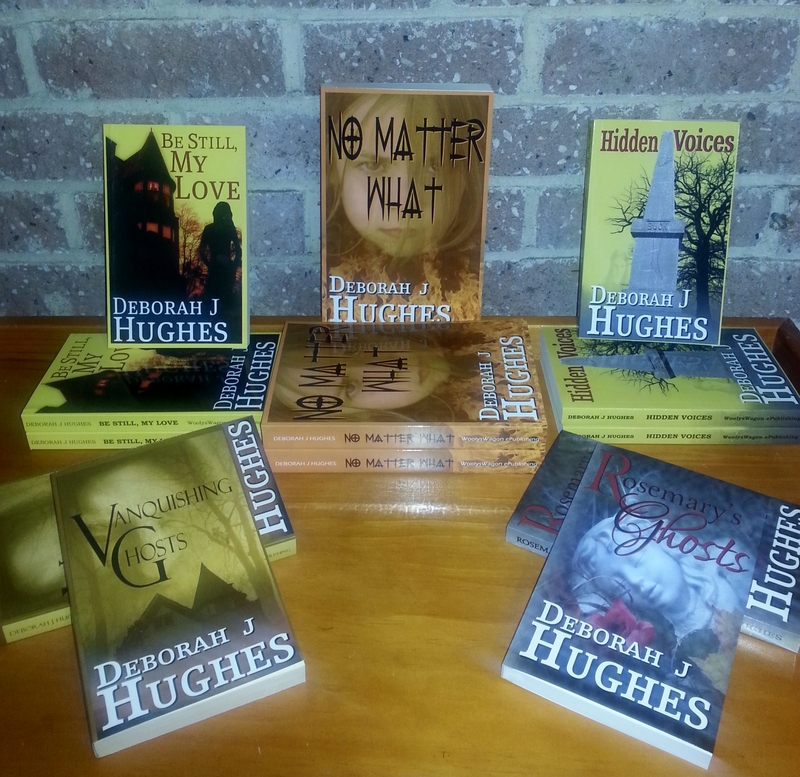 So, basically, I am the average person with an interest in the paranormal and everything that I do…you can do as well! I was seven when my family moved into the farmhouse and I was fourteen when we moved out. We’d had enough of the paranormal activity there and really, once my dad finally caved to the idea of ghosts and accepted the fact that they truly existed…there was no staying there any longer. Ghosts can be pretty scary. It’s unnerving to deal with something you can’t see. Scariest of all is the possibility of coming up against something evil. This fear alone scares most people off when it comes to spirit communication and hauntings. And really, that is quite understandable. No one in their right mind is going to want to deal with an evil entity. Heck, we don’t want to deal with bad people who are still LIVING let alone one who is dead! The unseen bad is the worst kind in many ways. I think this is because we feel powerless against it. How do you fight something you can’t see or touch? Now, before I go on with my thoughts on that, let me explain that the things I have come to believe are a result of personal experience and acquired knowledge from other people or through books, television/movie/video and the like. I believe every medium of learning (such as those just mentioned) are methods used by God to teach us what we need to learn or remember. Now, I believe in God, obviously, and I also think of this Higher Power as “the Universe”. Did you notice that I said God uses the various methods to “teach” us something or to help us “remember” something? I say “remember” because I truly believe we know way more than we remember about who we are (spiritual beings!) and where we come from (spirit!). When going through the birth process, it seems we suffer some sort of amnesia and “forget” quite a bit about our spiritual selves, where it was we came from and what we are capable of. I had a very vivid dream once (during a time when I was really going through a “spiritual awakening”) that I believe addresses this issue. By the way…I truly believe our dreams are the soul’s way of speaking to us! But anyway…I dreamed I was in spirit and preparing to come to earth (I was soon to be born into a physical body). A group of friends was with me and we were discussing my pending birth. I was sad to be leaving them and the spiritual world in which we lived. In my dream, I understood that I’d done this before (been born into other lives…so, yes, I do believe in reincarnation and living past lives!). I told my friends that THIS time I wasn’t going to forget who I was. I wasn’t going to forget them or my “real” life. They told me it would be impossible to hold on to the memory of our truth. But I was VERY determined! So when it was time to go (enter earthly life) I ascended a spiral staircase and as I went up the steps, I repeatedly looked down at my friends gathered below. I would then wave and say, “I won’t forget you!”. Finally, I reached the top of the stairs and the world in which I had to step into was dark. The staircase and all below was brightness and light and I remember not wanting to step off the staircase into the dark interior of life. But I had no choice and so as I moved away from the stairs, I kept glancing back toward the stairwell. The further away I walked, the smaller the lighted spot where the staircase was located. The world around me was dark and dismal and at first I was constantly glancing back to remind me of the staircase’s existence and to reassure myself that it was still there. I would NOT forget! But, the more I walked (moved through life…grew up), the more frightening the images around me became and the smaller the light when I turned back to look. I kept repeating in my head “I won’t forget” but it was getting harder to remember to do that for I was distracted by what was going on around me. Then something jumped out at me and scared me so bad I didn’t dare to turn around and look for the light. Instead, I focused more on what was in front of me rather than what was behind me and when I finally did turn back…I could no longer see the light and I didn’t remember WHY I was looking back! I had forgotten! And that’s when I woke up. That dream is as vivid to me today as it was when I had it…now over 20 years ago! Dreams that stay with us are very important to us on many levels and in this case it was a pretty big lesson! It’s been said that children retain some spiritual connection at birth but as they age, the connection becomes lost (have you ever noticed that babies often seem to be looking at something you can’t see? Something that amazes and amuses them?). The harsher the life we live, the faster we forget. Eventually, we are left “in the dark” and all knowledge of the light is something we must now seek to remember. I think that is why Jesus was considered the “light of the world”. He came to teach us “the way” back into the light (to reopen our eyes that we may see!). But he isn’t the only one who came to help us poor lost souls. All those who are known as true spiritual teachers (across all religions)…they too have come to show us the way and help us to see. So anyway, our biggest challenge as humans is to remember the “truth” about who we are. In seeking and finding the truth, we shall truly be set free…from fear, misery, pain and the like! I truly believe that those of us who ACTIVELY seek the truth will eventually discover it. Bit by bit, slowly but surely! Because of our Ego (and we ALL possess one), our “remembering” is often a slow process. Our Egos act as a personal “gatekeeper” of sorts. It limits our access to universal knowledge and keeps us firmly rooted in the physical world. The Ego controls what we accept as truth and the only way to get a truth past Ego’s gate is to do it in small increments! Once we learn and accept one thing…we can go on to learn and accept another. And so on. When physical death occurs and a person enters spirit, they do one of the following: 1) hang out in the spirit world for awhile (maybe go through a “life review” process) and then prepare for another birth (reincarnate) 2) go on to Heaven or Hell…whichever is appropriate! 3) hang around the physical world and try to communicate with loved ones left behind…or whoever else they manage to make contact with! 4) become confused about their new state of being (and thus require help from the angels and/or mediums) 5) refuse to accept they are dead (and so require help from angels and/or mediums) or they might 6) hang around the physical world in order to cause mischief. Those that do this are more than likely the “evil” ones we are so afraid to encounter. No doubt they are also avoiding Hell or whatever they must face for the evil deeds they conducted when they were alive! The ones who are just trying to communicate (either to impart a message or offer reassurance) or the ones who are confused about their new status as spirits (because of a sudden or violent death)…these, I think, are the most common situations in hauntings. It really isn’t unusual to encounter a spirit who is here to do nothing more than reassure us they are fine or to impart a message. Some, though, are concerned about the welfare of someone they left behind and so stick around to watch over them. As for the ones who are confused about their “death” or are afraid to move on…they really do need help…either from a medium or from an angel, a spirit guide. BUT, the ones who stick around because they are angry or intend to do harm, THESE are the ones we need to watch out for and avoid interacting with. And it is fear of these ones who cause most people to avoid spirit communication. I know that was the case for me when I was living in that farmhouse. Although I knew some of the spirits there meant no harm, there was at least one who was not nice and because of that ONE, I was afraid of them all. Now, considering they never hurt any of us, I can’t think why I was so afraid all the time, but I was. It was this fear that I wanted to address in my third book of the Tess Schafer-Medium series that I’m writing. 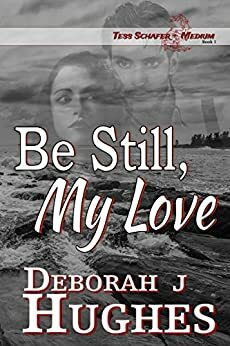 Book one…”Be Still, My Love” was about my character Tess Schafer dealing with her anger at God and struggling with her spiritual beliefs. 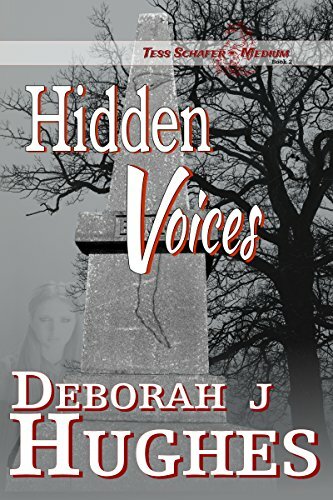 Book two…”Hidden Voices” was about her expanding her gift and accepting who she is, what she does and being comfortable with it. 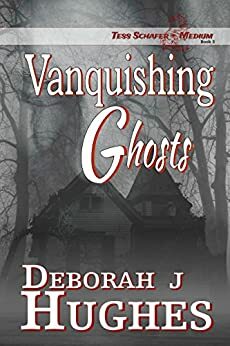 Book three…”Vanquishing Ghosts” (to be released in late Spring!) has Tess confronting her fear of negative spirit activity. 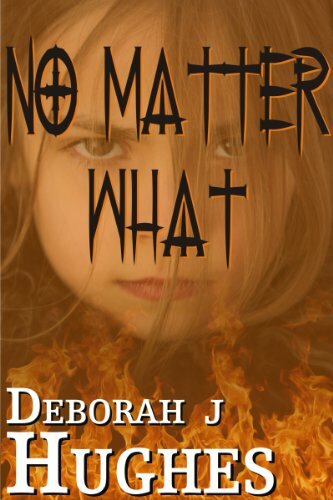 I wanted to show through this story that we have within us the capability to deal with anything…even evil spirits. I almost named the book “Conquering Fear” because that is exactly what Tess had to do. Many people write to me expressing fear for some sort of spirit activity they are experiencing. Most all those cases sound to me like someone in spirit who knows them and wants to communicate with them. The spirits bothering these nice folks aren’t trying to frighten them. As I’ve mentioned…once we pass into spirit and we realize that we are very much “alive”, we want to come back and reassure those we love. We want to share the good news! Only now we are in spirit and our communication attempts accomplish nothing but fear. This is why visiting a reputable medium would be beneficial. There are a lot of frauds out there in the world taking advantage of peoples’ grief but there are also a lot of truly gifted mediums ready and willing and happy to help you! As I am a member of the Spiritualist Church, I am lucky enough to be around lots of mediums! 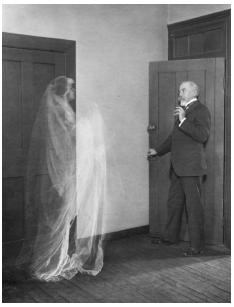 My advice lately, for those who seem to have a particularly determined spirit bothering them, is that they should try and locate a Spiritualist Church and see one of their mediums. Common paranormal experiences are the feeling of being watched, the feeling that someone is right next to you, a sudden chill or tingling feeling (this is more of a response from your spirit body which instantly recognizes when other spirits are nearby!). Things might move around. Rocking chairs will rock, curtains will riffle, a picture might fall (in many cases, the person in the picture is the spirit trying to communicate! ), doors open or shut, lights come on or go off, electrical equipment might do the same – the radio or TV might change channels. In all cases, if a spirit is involved, then they are simply manipulating the matter around you to try and get your attention. The problem is…they get your attention alright but then what? You aren’t exactly ready to carry on a conversation are you? And even if you are…how do you go about it? In some cases, people do hear their name being called (a common occurrence actually!). So how do you communicate with a spirit that has managed to get your attention? If you aren’t a natural medium (let’s face it…some are just gifted in this area while others are not!) and you don’t want to pull out a Ouija board, just how are you expected to “talk”? Well, one thing I often recommend is what is known as “automatic writing”. 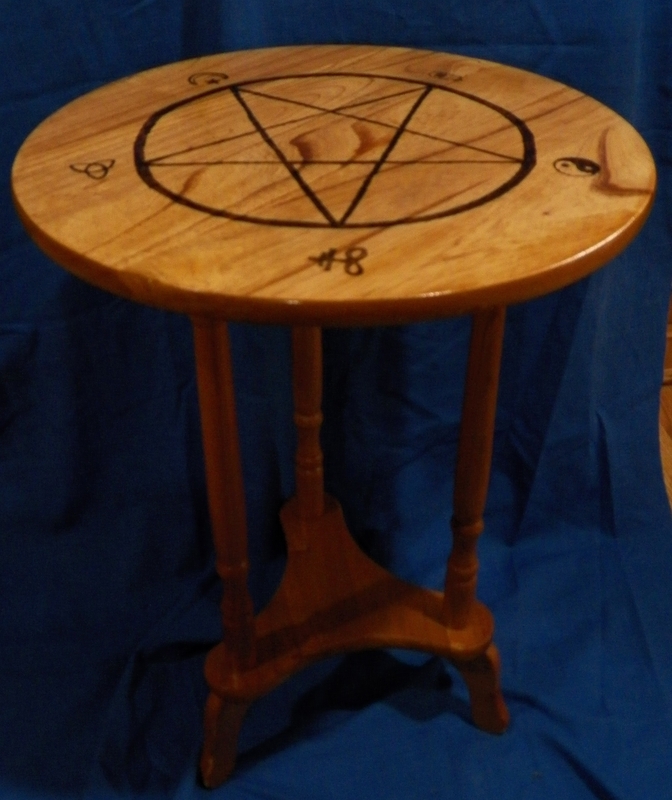 This is where you grab a pencil and some paper and invite the spirit to communicate with you by writing whatever it is they want to say (using your hand to write it of course…don’t expect the pencil to just lift up and start scribbling away!). The problem with this method is that many people think they are making it all up. I say this…so what? Make it up! Just where do you suppose the inspiration for the words you are writing is coming from? Where do the stories I write come from? Where does any thought come from that pops into our mind? Spirit! This sort of writing is also called “inspirational writing” because you are being inspired to write. Inspiration comes from spirit so inspire away!! The freer you give reign to write whatever enters your mind, the more of a message you are going to get. Now, because we don’t want to encourage negative spirit interaction, I always make it clear that I don’t want to communicate with anyone who is negative in any way. If a message comes through that sounds threatening or makes you uncomfortable then you need to end the communication. Loving spirits with good intentions are not going to make you feel that way. When a loving spirit wants too communicate with you, that is what you are going to feel…loving energy. You are going to feel GOOD inside. Happy. Peaceful. If you feel none of those things…then you simply tell the spirit that you will NOT communicate with it and that it is not to bother you any more and then BLESS the spirit and send it away. If you are still bothered after that, then find a medium and take care of the problem. Unfortunately, there is the possibility that a particularly nasty spirit isn’t going to obey your command (though I do believe this is rare!). The thing to remember is that here in the physical world…we who are in a physical body are in charge. Those in spirit can only operate in spirit. They can manipulate matter to a degree but once you take charge of the situation…through prayer, faith, and fearlessness…the spirit has no power. I truly believe this. I try to show this through my character Tess. I put her in situations in which she must handle spirit activity…the positive and the negative…and how she does that is how it can truly be done. I feel inspired while writing those stories. And where did I say inspiration comes from? Yeah…I feel spirit is helping me write the Tess Schafer series. I don’t doubt it a bit. So anyway…the next time you think a spirit is haunting you, you now have options. Tell it to go away or communicate with it. But if you are not comfortable doing either of those things…find someone who will! Just remember, though, that we are all spiritual beings and you have within you the capability to deal with spirit…effectively and safely!! Many blessings out to all and Peace Out!! I recently watched this video clip on Youtube that was posted in the blog Theosophy Watch and it really got me to thinking about the death experience and our reason for being here. I don’t know about you but I truly believe we live on after experiencing physical death. Our true essence is our “spirit” (our soul) and the soul cannot die. It’s been scientifically proven that we are beings of energy and energy cannot be destroyed. So there you have it! Another thing is all the experiences countless millions (over the many years since humans walked the earth) have had involving ghosts, angels, near death experiences (NDEs), profound dreams, amazing spiritual phenomena, spirit contact, out of body experiences and so on. How can any of us say with certainty that dead is dead and that’s it? Honestly, the evidence stacked against that belief is too numerous to dismiss. As for myself, I’ve experienced way too many of the above mentioned things to not believe in life after death. The one thing that has ever really bothered me most about “death” is those that happened violently. I just feel so awful for those people…imagining the horror and pain they must have endured before the relief of death. I would like to believe that even for them…the death experience was as peaceful as those who experienced a NDE have claimed it to be! Many spirits have claimed that their death wasn’t as bad for them as it seemed to us (the living). I guess we could liken it to the pain of childbirth (something I have experienced three times…without pain-killing drugs or epidurals!). As bad as the pain is…once the baby is out in the world, the pain is gone and all is forgotten. In fact, most of us (me!) were ready to do it again! I’d like to believe that even violent, painful deaths are like that. The memory like a bad dream that quickly fades into obscurity. In fact, I wouldn’t be surprised if the spirit leaves the body when the trauma becomes too bad to endure and so they don’t really experience the worst of it. It’s a nice thought. As for the video. It seems in all NDEs, the person wanting to cross over is told it isn’t time and that they must come back. So this tells me that those who didn’t come back…CHOSE to stay “over there”. It was their time and they were ready to move on (whether their loved ones left behind like it or not, unfortunately!). My grandfather suffered a stroke and was in a coma for several days before it was decided to remove him from life support. I really believe Grampy WANTED to move on but there we all were (his eight kids and numerous grandkids…me included!) begging him to hold on. Even though the doctors claimed he was “brain dead” it was a tough decision to “pull the plug”. The worry is always there if they did the right thing. Well, I managed to contact my grandfather through the process of automatic writing (scoff if you want but it really works and is an excellent form of communication with the other side!!). Now, I didn’t know anything about Grampy being removed from life support. I was in the military at the time and had already returned to my base when that decision was made. The family decided not to tell me how “it all went down” because my mom knew I’d be mad and she didn’t want me to be upset with her (she signed the order giving permission for the hospital to do the deed). First thing my Grampy did was tell me to let my mom know they had made the right decision. He said it was what he wanted but they wouldn’t let him go and he felt guilty about wanting to move on. (When they let the hospital remove him from life support, he saw that as his family giving him permission to do what he wanted. And he went. Happily.) There was more to the message and none of it made sense to me. In fact, I didn’t even want to tell my mother about it because I thought it would upset her. But she wheedled it out of me and when she got upset, I said, “See? I told you you wouldn’t like it!” and she said, “But I do. It’s exactly what I needed to hear!” Now my Nana (she died 3 months after Grampy)…she went the way I want to go. She died in her sleep and I am sure it was a very peaceful process for her. Much as I hated to lose them (it devastated me! ), I only want what makes them happy and they are happy “over there”. Besides, they visit me often, they keeps tabs on the family and I feel their love every time I think about them. In spirit there is no separation. So anyway, I went to read the Theosophy Watch blog and watched this video and I thought it a great topic for my own blog so I’ve reposted the video here. 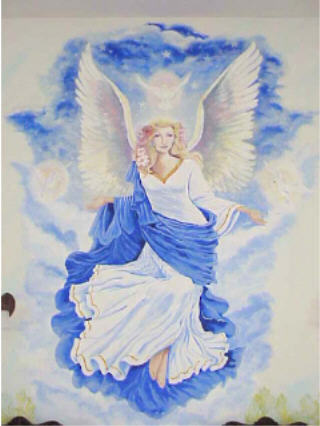 Though it is one woman’s “death” experience and sounds like so many other accounts of NDEs…going through a tunnel, seeing a light, being greeted…it also had a little something new that I found intriguing. She was told to come back and be a “light” in the world. She says that those (who are open to the spirit world) act as anchors for the “light” (God?) to come into our physical world. I found that quite interesting. She sounds like such a nice lady. Her voice is peaceful and you know she isn’t making it up. She just isn’t. It’s a little over five minutes and well worth the watch! Check it out. So what do you think? She certainly doesn’t make death sound terrible and even though she was going through a horrific thing (her husband was choking her to death), she made no mention of that. None of it mattered. Amazing. Would love to hear your thoughts on this! Until next time…Blessings to all and Peace Out!